May 25 to the end of September marks the return of the summer calendar of the Certosa of Bologna. One of the most charming places in the city will present extraordinary events, exhibitions and evening tours in pursuit of art, Bolognese history and much more.The more than 50 events have been made possible thanks to numerous associations and cultural groups working in collaboration with the Museo Civico del Risorgimento of Bologna, and to Bologna Servizi Cimiteriali. Like every year, the calendar opens on the occasion of the annual WDEC - Week of Discovering European Cemeteries promoted by ASCE. This summer’s program will focus on the early 20th century, particularly on the evocation of the tragic period of 1915-18, recounted through stories large and small of everyday life, of cities, of nations. Indeed, the Certosa hosts the Ossuary Monument to the Fallen Soldiers of the Great War, a powerful and harsh testament to the conflict. 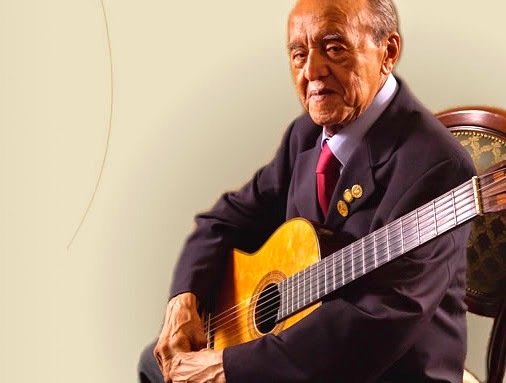 The summer calendar features events of great interest involving artists of national and international renown. Noteworthy among these: Thursday, July 3, Vittorio Franceschi interprets La roccia nel cuore, the extraordinary biography of three Bolognese friends who survived the First World War; Saturday, July 12, the Certosa presents Nocturne with music by Daniele Furlati and the group Spiritual Front, complemented by projections of images from the Cineteca di Bologna and by photographer Mauro Squiz Daviddi; Friday, July 18, Senio Diaz and Marco Carnicelli propose a concert for classical guitar in Homage to Alirio Diaz; Tuesday, July 22, through jazz, Rita Cervellati and Francesco Codicè pay homage to the fallen soldiers of WWI; Friday, 25 July, screening of the film Prisoners of War 14/18 by Yervant Gianikian and Angela Ricci Lucchi, a contemporary interpretation of the conflict with the support of a soundtrack composed by Giovanna Marini; Saturday, August 9, Andrea Mazzacavallo with Ticket recounts strange and bizarre existential stories through music and song; Saturday, September 20, Alessandro Tampieri in Descent into the Underworld interprets Dante’s Inferno; lastly, double appointment with Daniele Robazza on Saturday, June 28 and Monday, July 7, in Middle Ground – Homage to Giosuè Borsi, which once again proposes at the Certosa a spectacle of music, dance and highly suggestive fireworks. 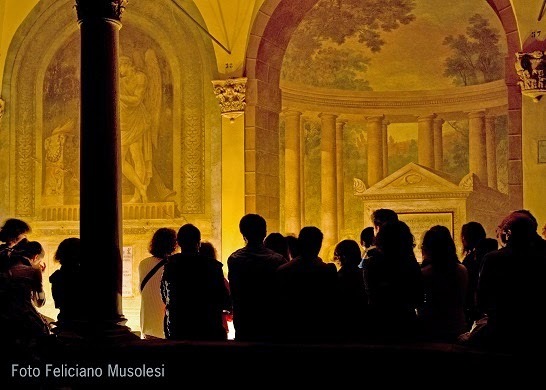 Many other artistic events will be held between May and September, interspersed with guided nocturnal tours organized by Didasco with itineraries dedicated to the history and art of Bologna. 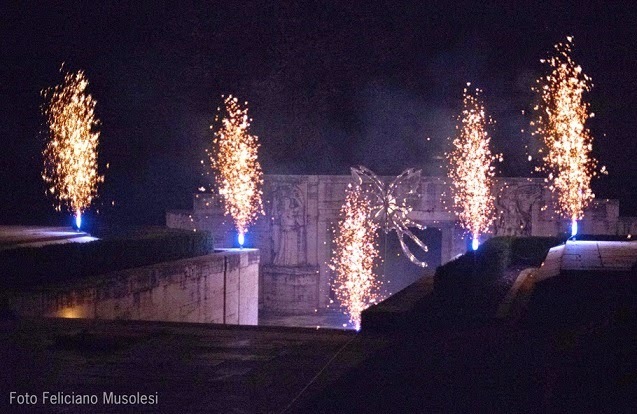 The Amici della Certosa Association, along with 8cento, will examine the city’s gastronomic history and on August 10 will welcome the dawn with the musical group Espresso Notte. The Museo Civico del Risorgimento, which participated in the cultural project Angelo Venturoli – A Legacy of 190 Years, will propose in collaboration with the Fondazione Collegio artistico Venturoli of Bologna several events wherein contemporary art interprets our past and the fascination of the cemetery through works and performances by young artists from the collegio. Another event outside the monumental complex will be held on May 29 at the Biblioteca di San Giorgio in Poggiale with the presentation of a book dedicated to Cincinnato Baruzzi (1796-1878), an artist of international renown who worked for many years at the Certosa. 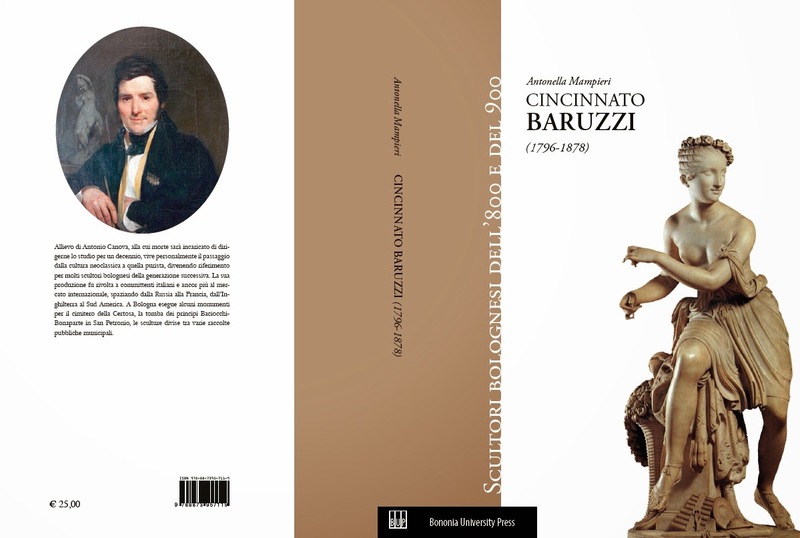 The publication is the second issue of the series Bolognese Sculptors of the 19th and 20th Centuries. Saturday, May 31, a double appointment with the inauguration of the photographic exhibition by Mauro Squiz Daviddi dedicated to Baruzzi’s work at the Museo Civico del Risorgimento, and that same evening at the Collegio Venturoli with Imperfect Infinity, the first of a series of three appointments where a pair of scholarship students will choose a work from the Collegio’s collection from which to draw inspiration. All of these initiatives are aimed at drawing attention to the largest monumental complex in Bologna, which throughout the 19th century was an international tourist destination, remembered in the writings of Byron, Dickens, Mommsen, Carducci and Pascoli, among many others. Most of the events have a limited number of tickets available, so it is advisable to book a few days ahead. Info and complete programme: www.museibologna.it/risorgimento.